The Latest in Celebrity News, Red Carpet Moments, Viral Videos and Breaking Celeb Rumors! : Jennifer Hudson believes she was descriminated when she was heavier! 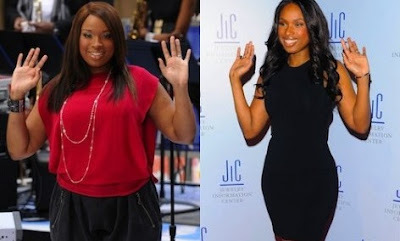 Jennifer Hudson believes she was descriminated when she was heavier! In an interview with Grazia Magazine, Jennifer recently revealed that she feels like people in Hollywood discriminated against her when she was heavier. The Grammy/Oscar winner stated that people weren’t always receptive of her image during her full figure days. And since dropping over 4 dress sizes she has been getting more endorsement deals, magazine covers, movie roles & more. Its sad to say that being over weight is not the image that a lot of company’s in Hollywood wants to portray. Tell me folks do you think she was prettier heavier or she is prettier now?